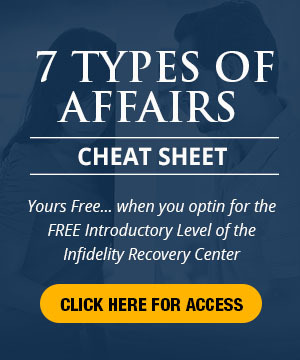 Emotional Infidelity: A KEY tactic to save the marriage. 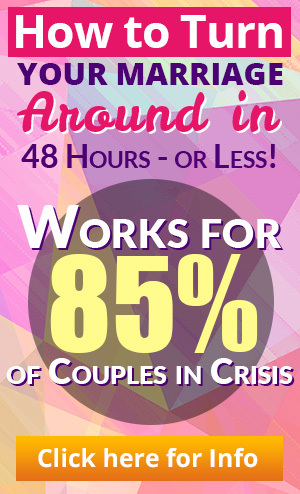 What can you specifically do to increase the odds of saving the marriage? He applies pressure. Begs. Cajoles. Makes promises. Gets in her face. Sends flowers. Arranges for dates. Talks to her family and friends. Calls her on the phone. Asks questions… daily, sometimes hourly. He is on her like a fly on do-do. All in the hopes of stopping her emotional infidelity. At a deeper level this emotional infidelity is confusing enough for her. Any additional input will be overwhelming and she is liable to close the door on the marriage even further. Plus, she is really looking for some stability, some solid centered core that will hold her firm when the wind of drama entices her and blows around her. If you bombard her with your neediness, you are certainly not the person who can help her in ways she really seeks. She also is liable to create a polarity and begin comparing you to him. With your neediness dripping all over you, you don’t stand a very good chance of coming out on top. Sorry! Stop pressing. Slow down the pace. Be silent – most of the time. Stop making requests. Stop asking questions. Stop trying to wiggle out some assurance. Stop being a pain! Remember, this “in love” state will fade. You need to have the confidence that it will. You need patience. The relationship will run its course. This is her opportunity to learn about TRUE love. Don’t get in her way. I know. I know. This is easier said than done. But, you must do it. It is vitally important that you learn to quiet yourself, control yourself and keep on the straight and narrow path. Go back and read the segment on charging neutral if you must. Use that skill.This will take some effort. It might take some coaching or therapy. It most likely will demand that you get to know yourself better, that you gain more confidence in you – apart from what she does with him – that you build a strong foundation under yourself that can weather any storm. This is your opportunity to grow to another level. Oh, by the way. She will notice! And….she might like it. Backing off her emotional infidelity does not mean that you don’t have anything to do with her. Quite the contrary. You want to maintain your contact with her, but it will be QUALITY contact. It will be contact that does honor to you, confronts her with the reality of her decisions in her emotional infidelity, and works toward resolution for the marriage.